When it comes to the search for the truth, it’s not as simple as it appears. It is certainly not as easy as the saying goes that there are always two sides to a story. In some cases, there are often three sides. There is your side, another person’s argument and somewhere hopefully close by is the truth. It’s just the way life works. I guess it’s what they mean when they say beauty is really in the eye of beholder. The best part is that in a free country like Samoa, you and I get the freedom to choose and make our very own decisions. When it comes to controversial issues, we are blessed in the sense we have the freedom to express ourselves. Whether we are heard or not is another story but that’s okay. What matters is that people are granted the freedom to express themselves, share their feelings and even take a stand. That is true democracy at work. In this life, you’ve got to stand for something otherwise you’ll end up dying for nothing. Now tomorrow, a group of outspoken individuals gathering under the umbrella of the Samoa Solidarity International (S.S.I.) will march from Vaisigano to Mulinu’u. The Solidarity march for Samoa in remembrance of the Mau movement will also be used to voice concerns about a number of issues in relation to the way Tuilaepa’s administration is governing Samoa. Chief among the concerns is the fear about the future of customary lands being alienated. This is not a new topic. It has been debated for quite some time now and this will continue for years to come. Senior lawyer, Unasa Iuni Sapolu, believes many Samoans may not be aware that their customary lands could be lost. “It’s very concerning that the same laws as the L.T.R.A. 2008 was introduced in New Zealand and left Maoris poor and deprived against palagi (Europeans) and foreign ownership,” Unasa explained. “It took at least 150 years for Maoris fighting in Courts to get some of its customary lands back. The same laws made Aborigines the first people of Australia, poor. The question is a valid concern. As we’ve said time and time again, without land, we might as well be dead. In Samoa, our land is our inheritance. It is the connection we have with our past, present and our future. Which is why it is important we take these concerns seriously. But there is another school of thought – predictably of course – that is being promoted by opponents of the protesters tomorrow. This is the same tune the government has been singing for years to downplay concerns such as the ones raised by Unasa. Last Sunday, Attorney General, Lemalu Hermann Retzlaff, moved to reassure Samoa that customary lands are not under any legal threat. “I respectfully pose this question: what customary land has been legally converted to freehold land and/or ‘sold off’, since the enactment of the Lands Title Registration Act 2008? (L.T.R.A.). The answer is none,” Lemalu said. 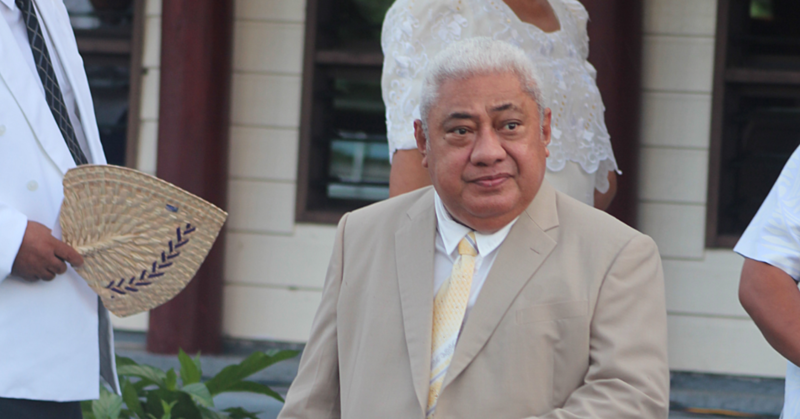 According to Lemalu, the Act deals only with freehold land. It can never be utilised to interfere at all with customary land rights that are protected in the Constitution, he said. According to Lemalu, the L.T.R.A. was introduced to help protect and increase clarity for transaction for freehold land only. ii) permit or deem ownership in any customary land to vest in a person otherwise than as determined under any law dealing with the determination of title to customary land. Well we are not lawyers so it’d be best to leave the rest to the lawyers to debate. Suffice to say, both sides appear to have very valid points, and arguments that should be encouraged and advanced for a better informed Samoa in terms of going forward. The march being planned tomorrow is not going to resolve anything in a hurry. And whether many people will be bold enough to step out – given the threats already made by the government – only time will tell. But that’s besides the point. The fact is this is a start of something that could be a turning point for this nation. When we talk about the Mau movement, we are talking about men and women who changed the course of Samoan history because they had had enough of what was happening at the time. They saw a brighter future for Samoa and they were not afraid to put their bodies on the line for the cause. They were not afraid; they were ready to die for what they believed. The questions are, is it worth making necessary noise about customary land if we feel that it is under threat? Is it worth fighting for our customary lands for the sake of the future generations of Samoa? If the government is sincere and truthful about what it has been saying in relation to this issue, the future generations of Samoa will reap the benefits and we will thank them for it. But if the government is reckless, continues ill-advised and they end up tossing Samoa down the same path as some of our fellow Pacific peoples have found, then tomorrow’s march is an absolute necessary movement. You and I don’t want to be the ones to tell our unborn children that we did nothing when we knew their future was under threat.